Halloween is creeping ever closer and we know that tends to throw the mind towards spooks, ghouls and other creepy weirdness. So how about some extra items from the Dracula auction that Prop Store is running right now? 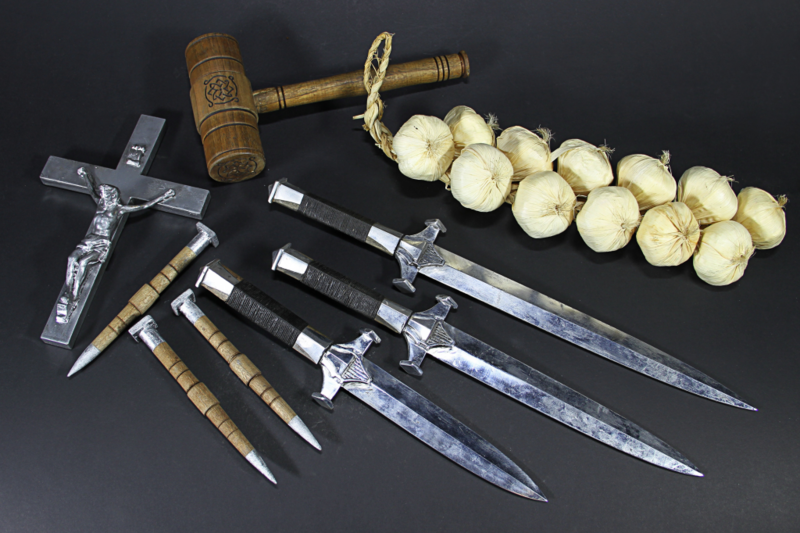 One thing the show did really well was its weaponry. 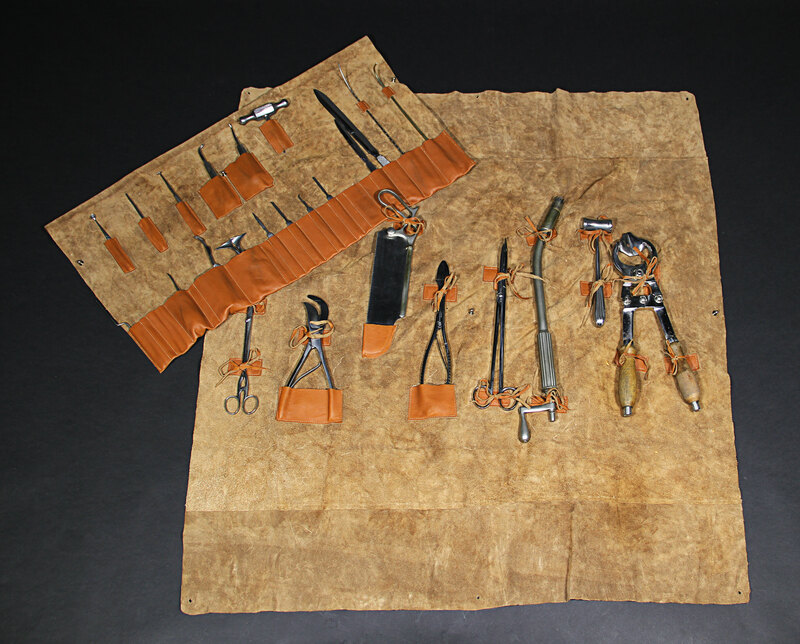 And this is a great set, as used by Kruger when he was trying to dispatch Alexander Grayson, AKA Dracula himself. Say it’s Halloween night and you need to be sure there aren’t any real vampires in the area when you go trick-or-treating. 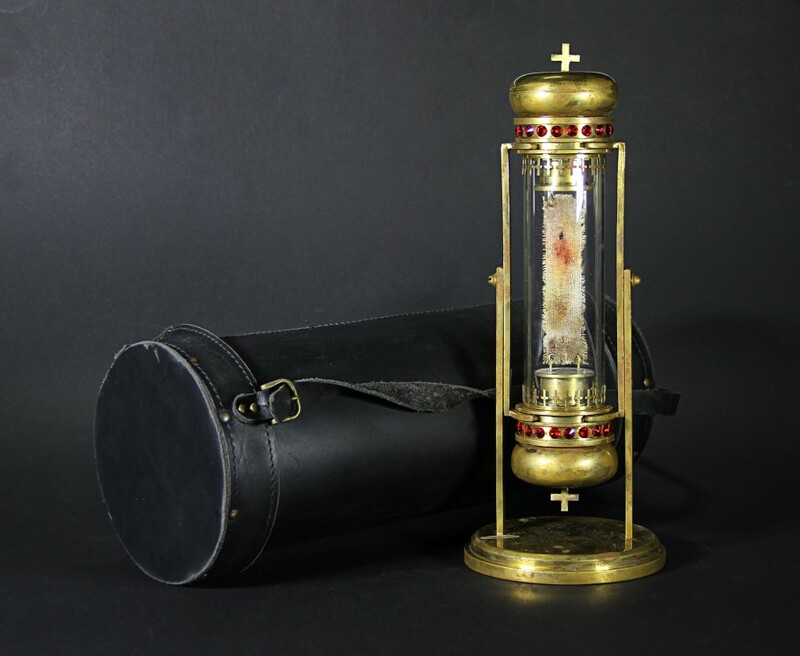 This is the vampire GPS device for you! Except it’s just a well made prop that would actually look great in any collection. 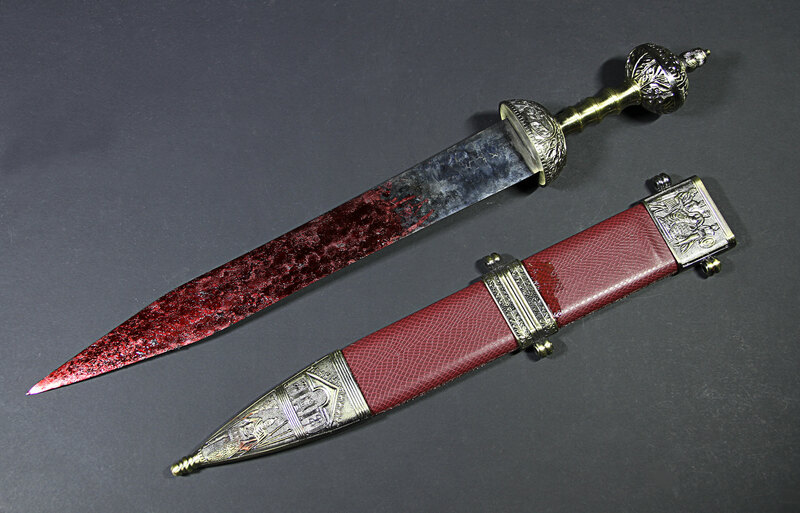 As used by Browning to execute poor old Lord Laurent (well, he did break the rules of the Order of the Dragon), this is a beautiful and ornate weapon seen in the third episode of the show. 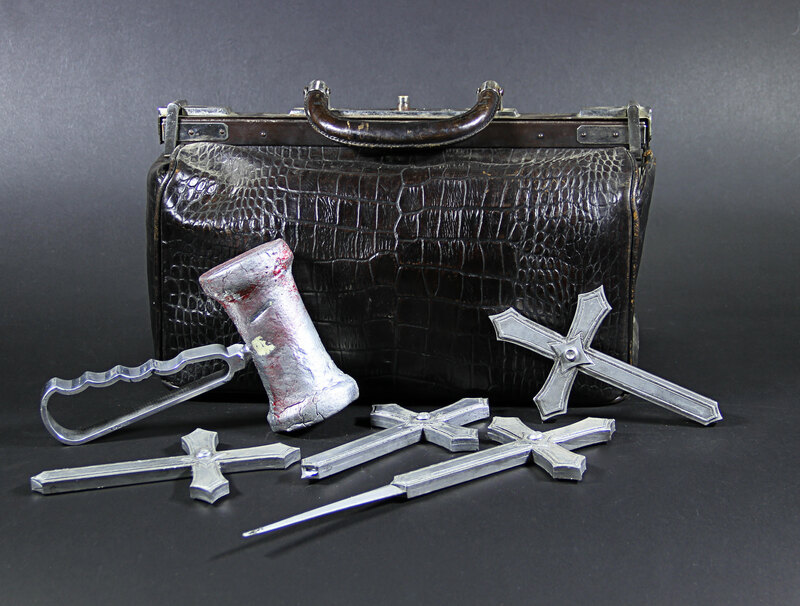 Used by moral-free investigator Janina Kleiberson (played in the show by Neve McIntosh), these tools dug information out of Dracula’s associate Renfield in the most painful way possible. And the metal tools come in handy leather rolls for ease of carrying. Or display, because no one is as heartless as Janina. A wonderfully crafted set of weapons as used by the show’s version of iconic vampire hunter Van Helsing, this is an array of crucifix weapons, a bone hammer and the faux leather bag he carried through the series’ run. One for the strong of… well… heart. And stomach. 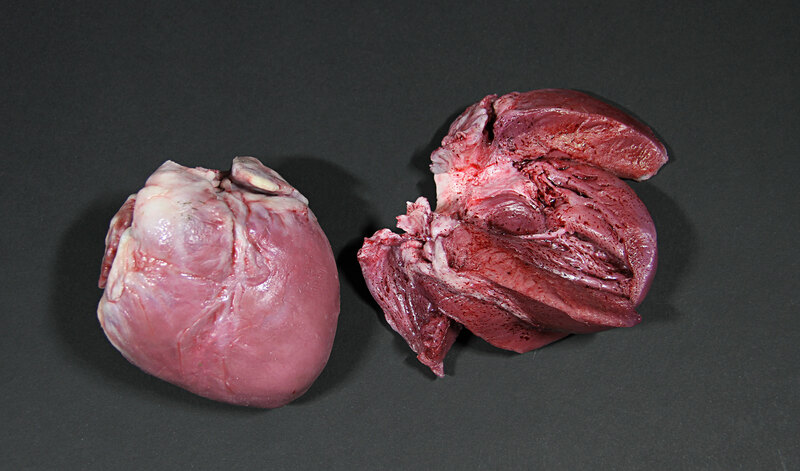 Part of Mina Murray’s experiments in class, these are two fascinating silicone hearts still tacky with fake blood. Don’t forget to head to our website and check out the event running now for more than 450 items. Hello, i think that i saw you visited my web site so i came to “go back the choose”.I am trying to find things to enhance my site!I guess its adequate to use a few of your ideas!! whoah this blog is fantastic i love reading your posts. Keep up the good work! You know, many people are looking around for this information, you could aid them greatly. I?¦m now not sure where you are getting your information, however good topic. I needs to spend some time learning much more or figuring out more. Thank you for fantastic information I used to be in search of this info for my mission. Great write-up, I am regular visitor of one¦s blog, maintain up the excellent operate, and It’s going to be a regular visitor for a long time. Really we all care for that. The Hattier and the new thinks that you have been showing on the post was truly genuine i must say that it was truly and great post you must look for new products here thank you. I love this article here is more informative information for us thanks for sharing with us. I have read your article. it is very informative and helpful for me.I admire the valuable information you offer in your articles. Nice website ,images are very clear. I think that, I came to “go back the choose”.I am trying to find things to enhance my site!I guess it’s adequate to use a few of your ideas! !